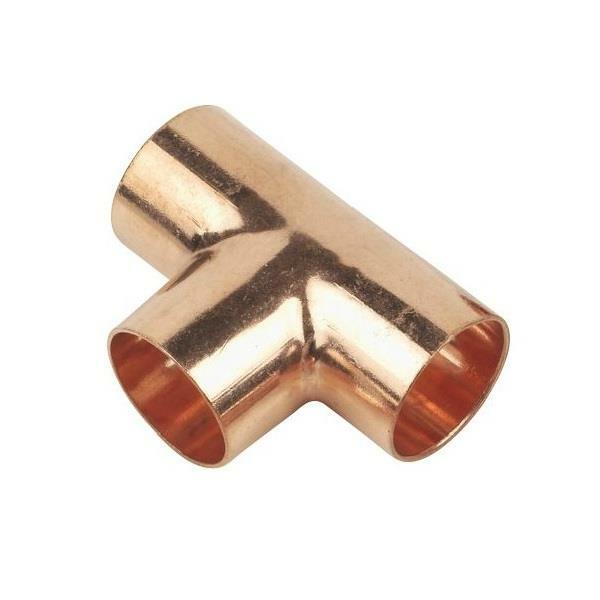 EF24 End Feed Equal Tee - 22mm, all ends to Copper (Copper x Copper x Copper). - Manufactured to BS EN1254-Part 1. - For Use on Hot & Cold Systems. - Compatible with Copper tube to BS EN 1057.